The trend of fashion nowadays reminds one of the signs of the end time as written about in the Holy Bible as ladies are bent on taking us back to the stone age of n*dity. 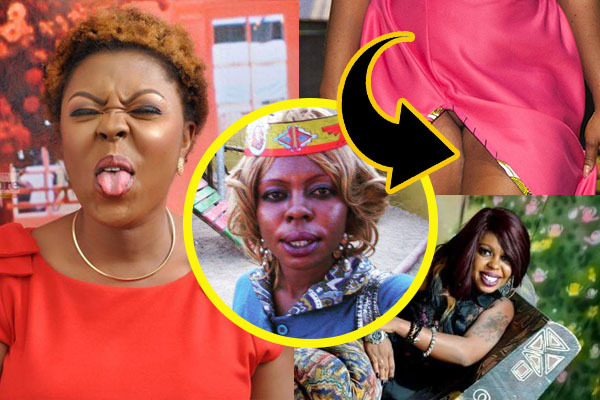 Scandal-prone Comedian and TV Presenter Valentina Nana Agyiewaa aka Afia Schwarzenegger was photographed wearing a dress that exposes her whole body. The outfit has been criticized on social media with the idea behind it heavily questioned. The outfit left nothing to the imagination as swift scrutiny of her body could lead any man astray. It has been noticed that the female celebrities of today are purposely boycotting the use of underwear to boost their s*x appeal all in a bid to make a fashion statement. You can even tell she wasn’t wearing pants. The sad part was that, she was happily walking with the outfit while everyone was just looking at her.